Living in Florida or Texas means we'll get our fair share of hurricanes, but it doesn't mean we have to suffer without power come hurricane season. 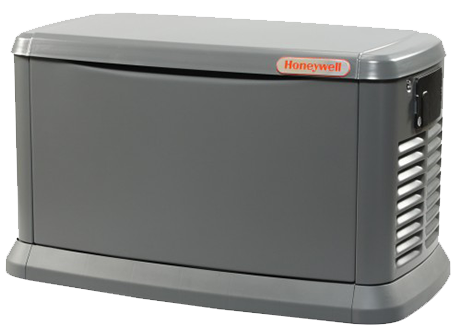 With an emergency stand-by generator from Personalized Power Systems, you can keep your family safe, comfortable and secure, no matter what the weather brings. 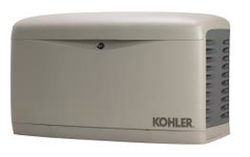 We even carry indoor generators, ideal for condos and apartments. The interruption of power for any length of time can occur at any time due to hurricanes, earthquakes, fires, snowfall and other natural happenings. Having emergency backup power in such situations is essential in your home, condo or business to run critical appliances like lights, refrigerators, air conditioners, heaters and medical equipment. We install and service permanent home generators in Florida's Dade, Broward, Palm Beach counties as well as the city of Houston, Texas and it's surrounding counties. Personalized Power Systems has been selling, installing and servicing generators in Florida since 1997. We are ready for deadly storms and you can be too. Feel safe knowing that your generator was bought from and installed by the nation's leader in residential generators with thousands of installations. Be Self Sufficient, Self Reliant and Independent! Personalized generator systems will get you through. Permanent Automatic Standby Generators are for those of you who can't be without central air or prefer your whole home powered. This will provide you with a guaranteed peace of mind during an outage. With an automatic transfer switch and a weekly exercise program, you will never have to worry about lifting a finger. Within 15 seconds of an outage your generator will automatically power up. Upon return of electricity, your generator will automatically shut itself down. These generators are quiet, and environmentally friendly and they protect you and your family 365 days a year. Maintenance agreements for efficient operation and long life of generators are available. Get same day personal service, solid communication and your satisfaction guaranteed! You also receive a Free electrical inspection with every repair and up front pricing. Our service center is not automated and our highly trained personnel offer professional services to ensure your generator is up and running protecting you. Purchasing a generator is a long-term investment that can protect you and your family from the effects of a power outage. Hi I'm Robert Smythe, I'm the general manager for Personalized Power Systems. Personalized Power Systems has the answer; we can install generators to your individual needs. All systems are totally automatic , and will operate whether your home or away. Seconds after you lose power the generator will come on and produce electricity to power your lighting, alarm system, computers, air conditioning, and kitchen appliances. When the power restores the system will automatically shut down. It even tests itself once a week to assure it is in top condition, that way it will be ready when you need it. Personalized Power Systems are installed outside of your home based on the regulations of each city's zoning requirements. One of our skilled representatives will come to your home and show you your options of locations following said guidelines. They're approximately 30 by 48 inches. Personalized Power Systems meets all municipal sound ordinances in the state of Florida and Texas which in most cases is 70 decibels. This is quieter than most air conditioners. What Is The Fuel Source? How Long Will It Run? Most of our residential units are powered by liquid propane or natural gas. The fuel will last 3 to 8 days with 24hour a day operation. Our whole home generators range from $7,500 to $30,000. Complete the short form below and Personalized Air Conditioning will contact you shortly. Website Design by 561Media. Personalized AC Areas Served. We serve Boca Raton, Delray Beach, Fort Lauderdale, Boynton Beach, Pompano Beach, Coral Springs, Parkland, Coconut Creek, Margate, and Deerfield beach the following services; air conditioning, through the wall air conditioner, stand alone air conditioner, split air conditioner, split ac, room air conditioner, indoor air conditioner, home air conditioners, heating and cooling units, heating and cooling systems, air conditioning units, air conditioning compressor, air conditioner compressor, air condition units, ac units for sale, ac units, carrier air conditioner, heating & cooling, air conditioner portable, portable ac units, air conditioner sales, heating and air conditioning repair, ac unit, best air conditioner, central air conditioning, air con, heating and cooling, air con service, air conditioner, central air, hvac systems, air conditioning repair, air conditioner repair, air conditioner service, aircondition, inverter air conditioner, ac repair, split unit air conditioner, air conditioner brands, ac compressor, air conditioning system, air conditioner prices.